Members of The Sports And Play Construction Association (SAPCA) and associate members of the European Synthetic Turf Organisation (ESTO), Envirostik are committed to raising of technical standards within the industry and take an active involvement in promoting best practice advice. All Envirostik’s adhesives are formulated to last a lifetime when installed correctly. Every product undergoes stringent testing and is designed to out-perform EN standards. As the trend towards sand and rubber filled long pile carpets continues and high joint strength specifications becomes increasingly important. 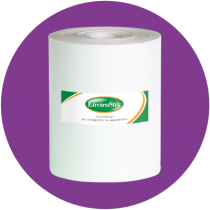 Many of Envirostik adhesives and seaming tapes are innovated alongside modern artificial grass carpets to provide a combined sports surface system which has been tried, tested and proven to perform to FIFA, GAA and IRB standards; thus meeting the most rigorous strength parameters of today.